In a medium pot, heat ½ cup of heavy cream until just before boiling. Remove from heat and add NESQUIK chocolate powder to the hot cream mixing until combined. Pour remaining 1½ cups heavy cream (cold) into a large bowl. Add vanilla and icing sugar and whisk with a hand mixer or a stand mixer until stiff peaks form. Stir the reserved chocolate cream mixture until smooth and creamy, then set aside to cool for 20 minutes. Gently fold in half of the whipped cream mixture into the chocolate mixture, and then gently fold in the remaining half until combined. 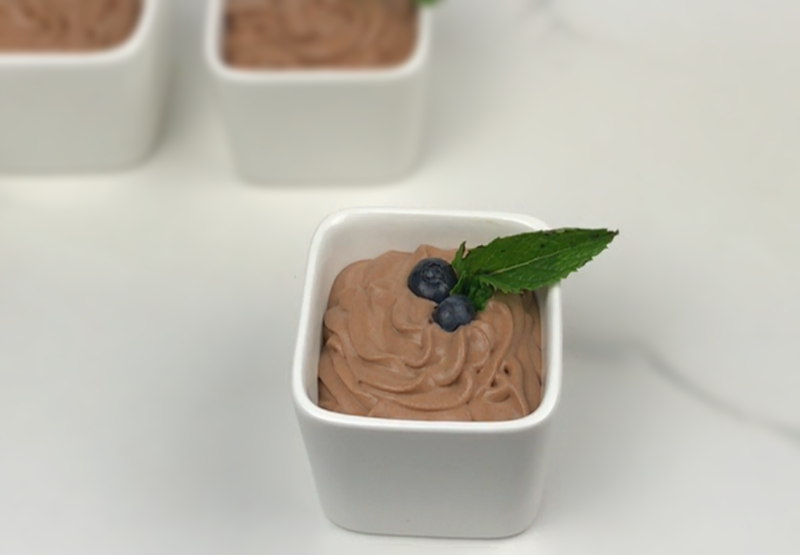 Spoon or pipe NESQUIK chocolate mousse into cups or your mouth, and enjoy!